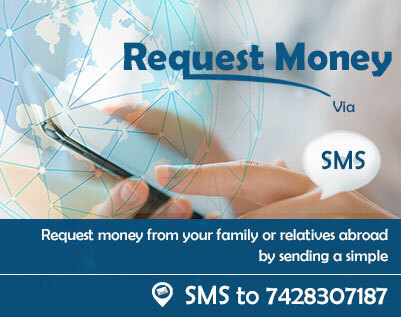 Satisfy the financial needs of your loved ones quickly, safely and conveniently from across the seven seas with RemitGuru, our unique money remittance service. It's far better than the traditional options (cheques, money transfer agents) of existing online remittance service providers. The security of your funds remains our top priority: We understand how critical it is to protect your privacy and your funds right from the moment the transfer process is initiated till the time the money reaches the destination. We use cutting edge technology to ensure that your funds are in safe hands. There are many reasons that people send money to their families back home in India. It could be to help with medical expenses, furthering education, or for support and additional income. Anyone who is going to send money to India wants the process to be fast and easy. There are many inexpensive and stress free ways to complete an Indian money transfer. Conventional methods such as bank checks can take a long time to process.The best way to complete a transaction is to send money online to India. For an international money transfer to India, there are many banks and private agencies that offer these services. Before you choose a way to send your money transfer to India, you should carefully consider all of the options available. When it comes to money transfer services you want to be sure that you chose a method with the best conversion rate and the quickest delivery. When you choose a private company or bank for transferring money to India it is also important to find out how much the processing fees are and what level of customer support is offered by that bank or agency. These are all factors that should be considered before you make any instant money transfer to India so that you will be assured to find the most reliable service. Many people do not know how to send money to India. A bank cheque/wire transfer is one of the most common ways to transfer funds to India. Many people believe that the bank cheque/wire method is the cheapest way to send money to India. Some say the best way to transfer money to India is through an online transfer. Online transfer will allow you to remit money to India within 48 to 72 hours. This is easily accomplished with Remit Guru, your premier international money transfer. Check us out for your next money transfer to India. 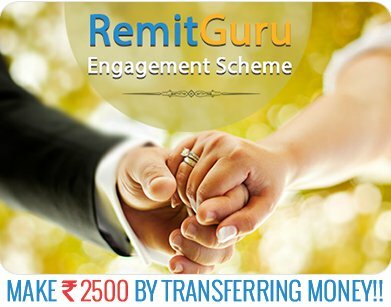 Now you can send money to India from the comfort of your living room in just a few clicks in a safe, secure and timely manner with Remitguru's online money transfer/remittance services. We are the most trusted online remittance partner for millions of customers around the globe. Be it transferring money to India to support your near and dear ones, paying utility bills or sending gifts by shopping with some of the biggest online merchants, RemitGuru has many options to make life simpler for you. We guarantee you the best exchange rates: No other website offers you the best exchange rate guarantee when you send money to India. We do! We ensure timely delivery of your money: Due to our extensive experience in the field of eCommerce, we ensure that your money transfer process is the best and your money is delivered on time. Your money will reach sooner than you expect it to.